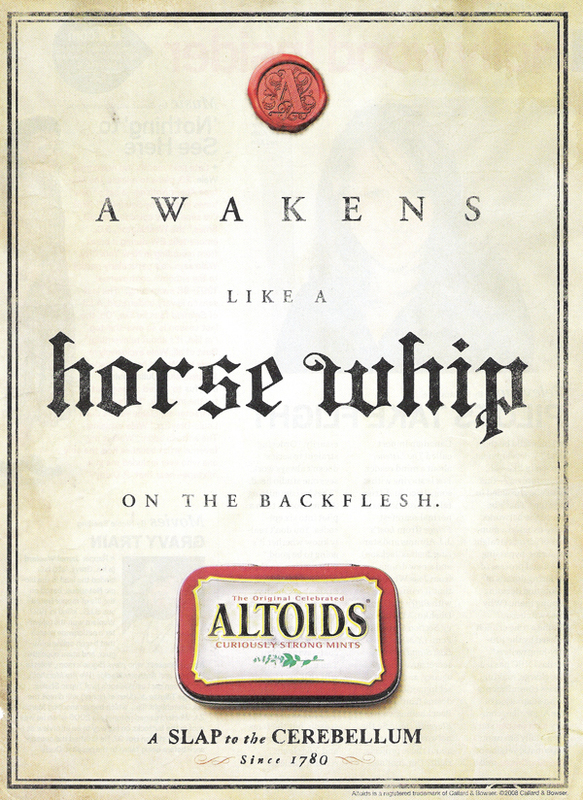 Apparently Altoids thinks being whipped is like eating a mint. I fully support the person that approved this ad experience the difference. I get a grotesque comfort reading my old words- knowing they were mine, still are in some strange way- although they aren’t. I had committed them when I did, that me is over and gone- that moment- that cut- that cry- that heat- that brokenness- that seduction. I have tales of my daughters’ visit from new years and stuff brewing in the back of my head. Picture and stories coming soon. And oddly, a direct correlation to the offensive xenophobic laws that went into place a couple weeks ago across our grand country. One more thing us “Americans” can be ashamed of for years to come. There was a couple sitting not too far from us who kept whispering in hushes and giggling and staring at us. I really didn’t understand what was going on but my mother did. She asked to see my wallet which i handed to her. She took the wallet, removed one of my cards and got up and walked over to the table the couple was sitting at- presented it to them and turned around and walked back and sat down and we proceeded with our meal. Mom- for all the things I haven’t done right in my life, you gave me my moral center and taught me right and wrong and how to be a good- if not sometimes loud, human being. You taught me to never compromise your beliefs and to always stand up for what’s right, especially for those that cant or even won’t. And to have a laugh while doing it. But somewhere up close to the top will be the smell and taste of fresh blueberries.